The candidates for the annual Finlandia Prize for literature 2018 have been announced. A total of 18 books will contend for the prestigious 30,000-euro award in the categories of fiction, non-fiction and juvenile literature. The prize is organised by the Finnish Book Foundation. The contenders for the fiction category were announced on Friday, while the other authors were publicised earlier in the week. 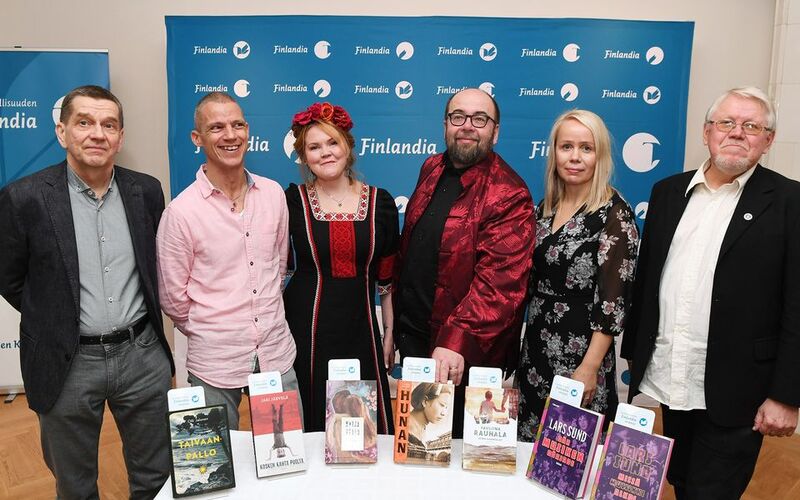 Among the fiction writers up for the Finlandia accolade are Pauliina Rauhala, an ex-member of the Christian Laestadian sect who wrote about her experiences within the religious community, and Katja Kettu with her novel Rose on poissa ("Rose is gone"). Kettu's novel is based on the history and modern culture of so-called Finndians, the descendants of Ojibwa Native Americans and Finnish settlers in the United States. In 2016 Kettu traveled in the Great Lakes region with photographer Meeri Koutaniemi and documentary maker Maria Seppälä. The trip inspired a work of photography and non-fiction, as well as the novel now vying for the most prestigious literature award in Finland. The rest of the fiction candidates are Olli Jalonen, Jari Järvelä, Pekka J. Mäkelä and Lars Sund, the only author in the group to write originally in Swedish. The non-fiction group includes in-depth books about Ultra Bra, one of Finland's most popular musical groups (by Ville Similä and Mervi Vuorela), a work of biology focusing on the lives of parasites (by Tuomas Aivelo) and the autobiography of Risto Siilasmaa, the one-year interim CEO of Finnish telecom networks provider Nokia. Siilasmaa's book, written co-authored with tech company expert Catherine Fredman, has been hailed as the most-awaited business book of the year, detailing Nokia's collapse and its reinvention as a major player in the global wireless market. Other authors in the non-fiction category are Helena Ruuska, Kaisa Haatanen and Sanna-Mari Hovi, and Seppo Aalto. Women authors dominate the list for the Junior Finlandia Prize. Works about magical sisters, a mysterious egg, first loves, the sorrow of loss and cliché-busting fantasy all feature in the 2018 line-up. One of the most celebrated works in the list is Taru Anttonen's and Milla Karppinen's Sankaritarinoita tytöille ("Heroic stories for girls"), one of several recent books published in Finland following the international success of Good Night Stories for Rebel Girls by Elena Favilli and Francesca Cavallo. Sankaritarinoita details the histories and accomplishments of Finnish girls and women who changed their respective fields forever, whether decades ago or more recently. The rest of the authors in the children's category are Siiri Enoranta, Magdalena Hai, Maija and Anssi Hurme, Riina Mattila and Sanna Sofia Vuori, and Linda Bondestam.